The Garden Route, stretching from Swellendam to Tsitsikamma and inland to the Karoo region of Oudtshoorn is a destination in its own right. 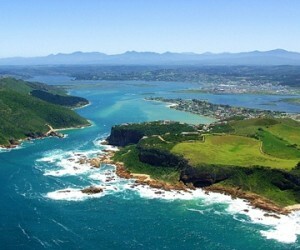 You can get away with spending only 1 or 2 nights in Oudtshoorn, Swellendam or Route 62, however the areas of Knysna and Plettenberg Bay certainly justify a mimimum of 3 – 4 nights to be able to explore this area properly. 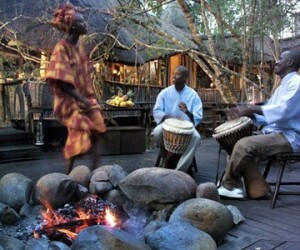 We recommend that you base yourself in one location and use this as a base to do day trips exploring the area. There is loads to do for everyone from forest walks, boat trips, wildlife & nature sanctuaries or you can just laze on the beach. 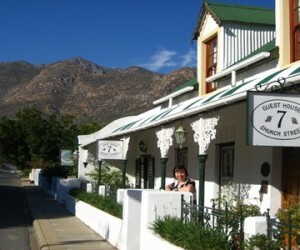 Swellendam is a great stop over and only 2 hours from Cape Town, making this a nice break in your driving. 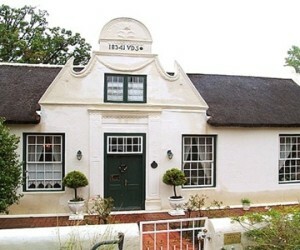 It’s the third oldest town in South Africa and has a quaint feel about it. 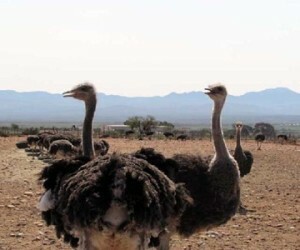 Oudtshoorn, the ‘feather capital’ is famous for the Cango Caves and selection of ostrich farms that you can go visit. Flanked by the Swartberg Mountains, a drive up the Swartberg Pass is an experience on its own with breath-taking views. Descending to the town of Prince Albert – an artists retreat. Another popular overnight is the Route 62 which takes you away from the main highway and rewards with some great scenery. 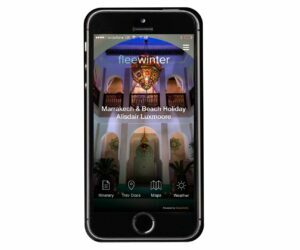 We have included our favourite Garden Route lodges below, however do contact us if you would like to see what else we have on our database. 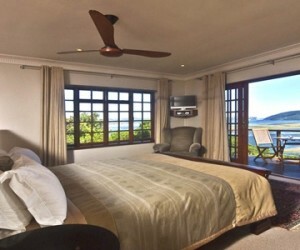 Kanonkop House is a 5 star family run guesthouse with spectacular views of Knysna Lagoon and the famous Knysna heads in the distance. 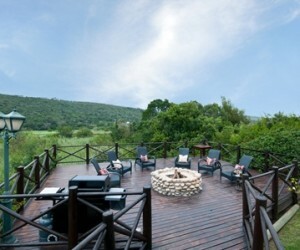 The Phantom Forest is an eco reserve set in 137 hectares of indigenous forest on the Knysna river,just outside Knysna town on the Garden Route. 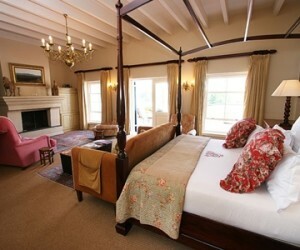 Cunninghams Island House is an owner run guest house in 'Leisure Isle' in the Garden Route town of Knysna. 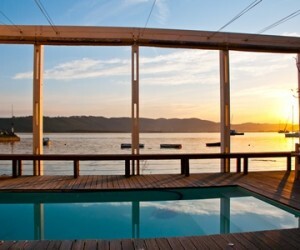 The Lofts Boutique Hotel is hidden in the Boatshed on Thesen Islands, on the waters edge offering a selection of accommodation to suite all tastes and offering an ideal base to explore the Knysna area. 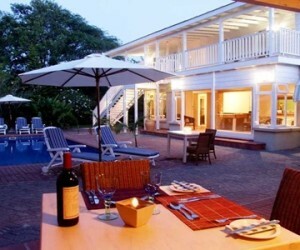 Hide-Away Guesthouse Knysna is a lovely 4 star Cape Colonial guest house, amidst lush gardens, overlooking the Knysna Lagoon and walking distance to the attractions of Knsyna town. 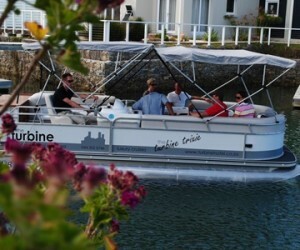 The Turbine Hotel & Spa is a 5 star boutique hotel located on Thesen Island and surrounded by water on 3 sides. 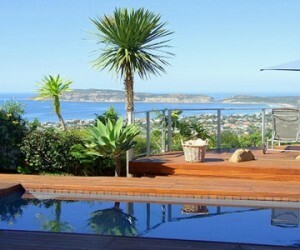 Alfred’s Manor is a luxury, modern guest house, perched on a hill overlooking the Knysna Lagoon. 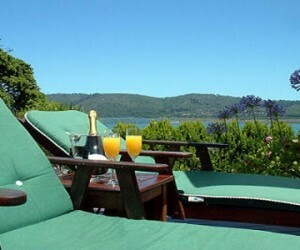 Point Lodge is located on the banks of the Knysna Lagoon just outside the town of Knysna. 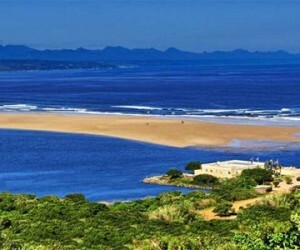 The Robberg Collection is a collection of 4 quality lodges all located right on the ‘Blue Flag’ beach of Robberg in Plettenberg Bay, offering a super choice of quality accommodation. 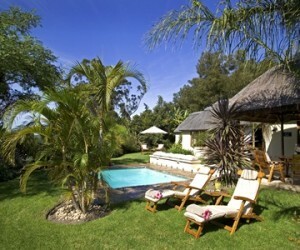 Periwinkle is a 4 star guest house located directly across from Robberg Beach in Plettenberg Bay. Kurland is a luxury Relais Chateaxu country hotel, located on the Kurland Polo Estate and offers a great family experience. 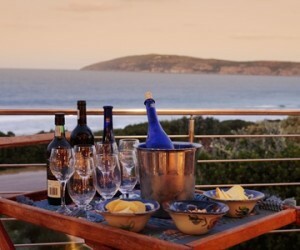 Bosavern Guest House is a 4 star, stylish guest house perched on a hill overlooking Robberg Beach and Nature reserve. 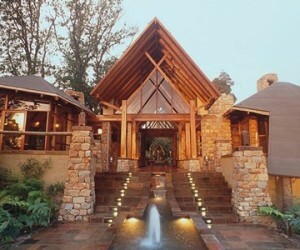 Hog Hollow is a 4 star lodge, located in a private nature reserve over-looking the Tsitsikamma Mountains, 15 minutes drive to Plettenberg Bay. 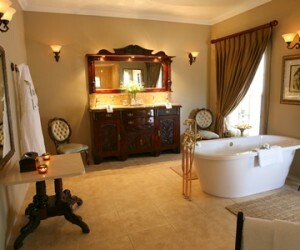 Hunters is a five star, family owned, country house, offering old world charm located just east of Plettenberg Bay. 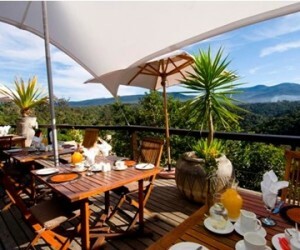 Tsala is a 5 star property located mid-way between Knysna and Plettenberg Bay, set amidst indigenous forest. 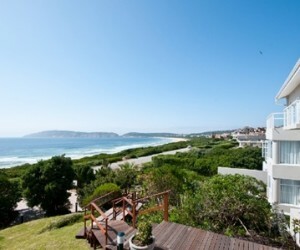 Star Fish Lodge is located an easy 2 minute stroll to Robberg Beach in Plettenberg Bay. 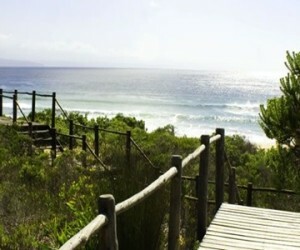 Christiana Lodge is an owner run lodge located in an exclusive part of Plettenberg Bay in Solar Beach, between Robberg beach and the Brakkloof Wetland and an easy 5 minute walk to the swimming beaches. 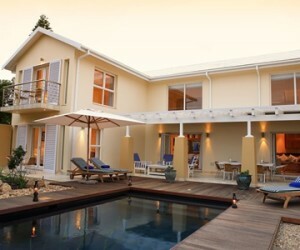 Milkwood Manor On Sea is in a unique position, as it borders on a natural bird sanctuary that is adjacent to Lookout Beach - so named for its spectacular views - the Keurbooms River Mouth and Keurbooms Lagoon. 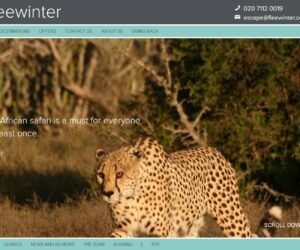 Emily Moon is located only minutes from Plettenberg Bay and its pristine beaches, offering guests a relaxed, luxury stay with a country atmosphere. 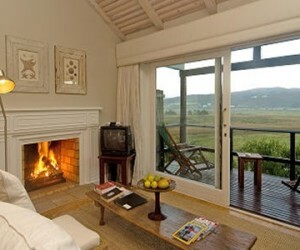 Redbourne Lodge is a 4 star, ‘cheap & cheerful’ lodge in the tranquil Piesang Valley and overlooking the Plettenberg Bay Country Club golf course. 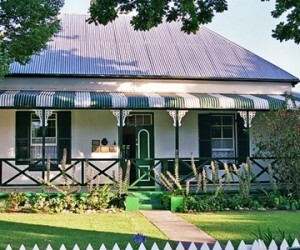 The HideAway is a 5 star, owner run guest house in the heart of Swellendam, half-way between Cape Town and the Garden Route.A national monument and one of the oldest houses in Swellendam. 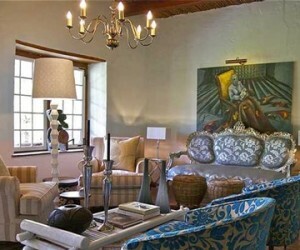 Rothman Manor is a stylish 5 star Cape Dutch homestead located on a 3.5 hectare estate on the outskirts of Swellendam. Augusta De Mist is a 4 star, owner run guest house, situated in the historic heart of Swellendam, offering a country retreat walking distance to the village. La Plume is a restored 1902 Victorian homestead on a working ostrich, alfalfa (lucerne) and vine farm on the outskirts of Outshoorn with lovely views of the Swartberg Mountains. 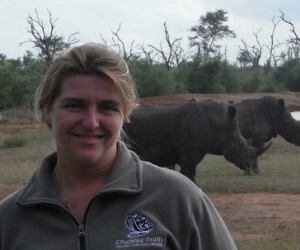 Buffelsdrift Game Lodge is a unique and understated luxury tented lodge offering a great safari taster and conveniently located outside Oudtshoorn on the road to the Cango Caves. 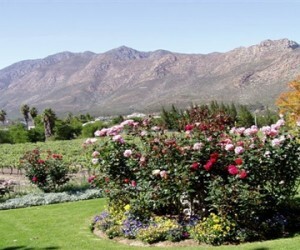 Dennehof Guest House is a 4 star owner run guest house in the Karoo town of Prince Albert which is nestled at the foot of the Swartberg Pass and offers a quieter alternative to Oudtshoorn. 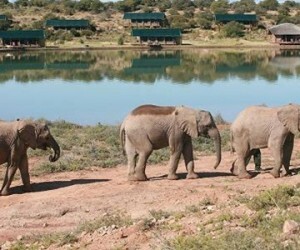 De Zeekoe Guest Farm is a beautiful, owner–managed African farm that is nestled near the town of Oudtshoorn, between the majestic Swartberg and Outeniqua mountains in the heart of the Klein Karoo. 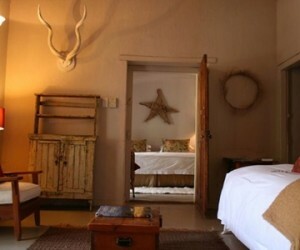 Mooiplaas Guesthouse is a stylish and luxurious four-star guesthouse situated on a family run working ostrich farm just south of Oudtshoorn, in the heart of the Klein Karoo. 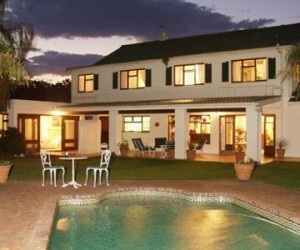 Montagu Vines is a 4 star, owner run guest house located on a working olive farm in Montagu. 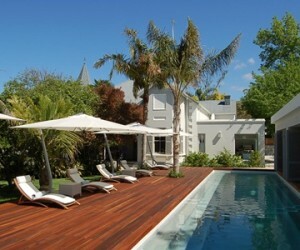 7 Church Street offers luxury accommodation superbly situated in stunning gardens in the heart of Montagu on the popular Route 62 between Cape Town and the Garden Route. 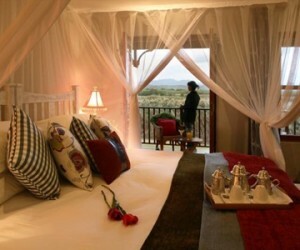 Mimosa Lodge, located on the scenic Route 62 offers visitors a warm and friendly 4 star luxury experience. 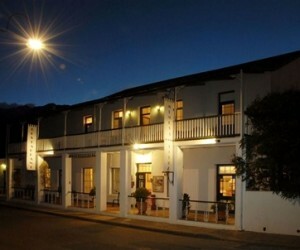 The Robertson Small Hotel is a boutique hotel in Robertson along the longest wine route in the world and the start of the Route 62 meander, an easy 2 hour drive from Cape Town.